Thierry Baudet received a rock star’s welcome on March 20 after his populist party, Forum for Democracy, picked up a swathe of votes in the provincial elections. Baudet’s party is projected to win up to 12 seats in the Senate, where Prime Minister Mark Rutte’s conservative VVD Party has lost its majority. 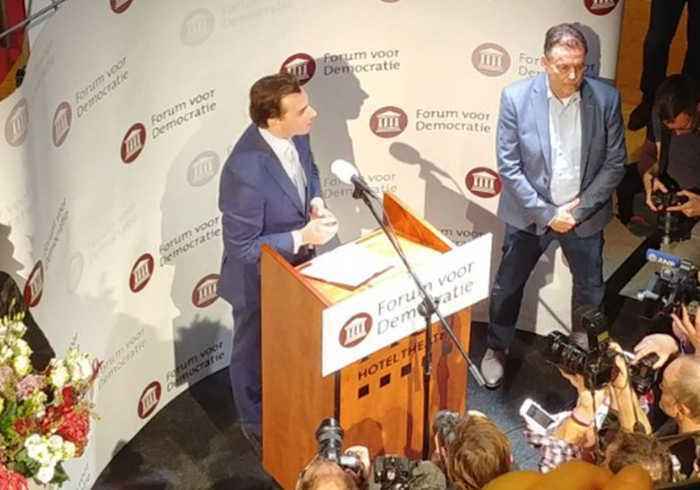 Forum for Democracy, which opposes immigration, continued campaigning this week following the March 18 shooting in Utrecht, which left three people dead. A Turkish-born man has been arrested over the attack. Reuters reported that one pollster, Maurice de Hond, said the attack appeared to boost turnout most among opponents of immigration. 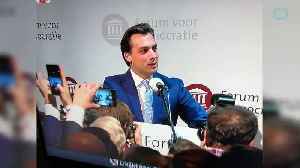 In this video, a triumphant Baudet is congratulated by supporters before making a speech. The other video shows the crowd reacting to the preliminary results of the vote.